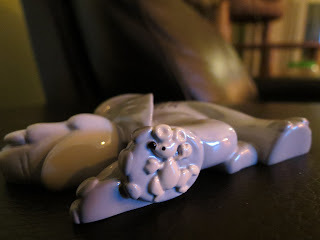 Thanks to Ornaments with Love for providing me with a free ornament to review. 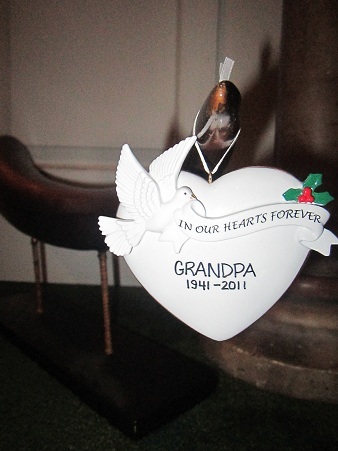 If you've been a follower of my blog for a while, you may remember last year when I did a review of an absolutely stunning personalized ornament, remembering my grandpa, from Ornaments with Love. And you can also see the review for that ornament HERE. When I got my ornament last year, I was just blown away - It was just beautiful, and it was a perfect reminder of grandpa. Every time I walked by the tree last year, I would think about him. So when Ornaments with Love contacted me this year, and asked if I wanted to do another review, I jumped on the chance! This time I wanted to get something from grandma. Initially there was one with a mouse that I absolutely loved, but they were low on stock, so I opted for one for grandma instead. My grandma loves elephants. I mean.. If you saw her room and the living room, you would be like.. WOW (O.O), because there are elephants everywhere. 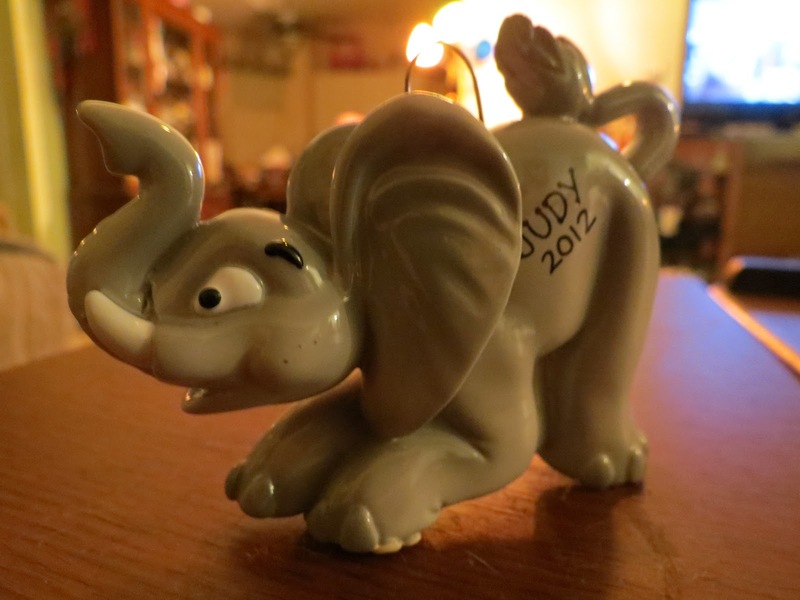 So when I was browsing the big ornament selection, as soon as I saw the elephant, I knew it was for grandma. So I picked it, and had her name and 2012 put onto it. Isn't the elephant just adorable!? My grandma just loved it. It's extremely well made too. The ornaments are ceramic, and ceramic ornaments usually worry me because I know if they aren't well constructed, they can easily break. We actually also have a collection of "year edition" ornaments, so we're always happy to add another to the collection! Isn't that just adorable?? And definitely the cherry on top of the ornament. Overall, Ornaments with Love definitely didn't disappoint with the personalized elephant Christmas ornament. I am just as happy with this ornament, as I was with the one from last year! If you like personal, well made ornaments, definitely check them out. The prices are hard to beat, and the selection is amazing. I love love love elephants and am so excited I saw this so I can go get one!!!! I absolutely love elephants. I have elephant things all over my house as it is supposed to bring luck! I want to get this now! What a cute gift! We like elephants at my house. love their ornaments, I got one last year. And the one for your Grandpa - what a great tribute! The mouse on the bottom..that was cute! My grandma loved and collected elephants. She would have loved this ornament. I really like these. We have a family tradition that each member of the family picks out their own ornament each year to be added to the tree. These would be great for that. those are really sweet. we give ornaments every year and put dates on them for the kids! OH MY GOODNESS!!! That elephant ornament is soooooo cute! I try to get a special little ornament for the tree every year. I will have to check this out!! What beautiful ornaments. I love the attention to detail. The one for last year is so eye-catching and touching. The elephant is adorable and I love the little mouse on bottom too. I hope grandma loves it! Ornaments are so fun and gorgeous when used properly! I like the elephant one, I am a big decor freak so these really catch my eye! That elephant ornament is adorable. I especially like the mouse detail on it. That is cute! Ornaments with love have a great selection! !